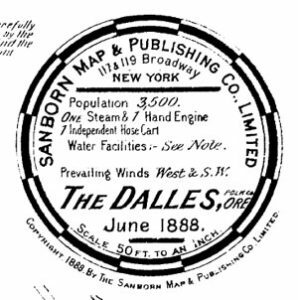 What are the Sanborn Maps? 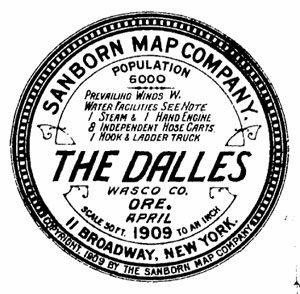 Sanborn Maps is an American publisher of historical and current maps of US cities and towns that were initially created to estimate fire insurance liabilities. 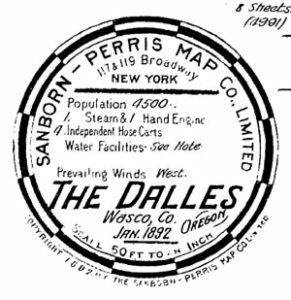 The company’s maps are frequently used for preservation and restoration efforts as well as history research. 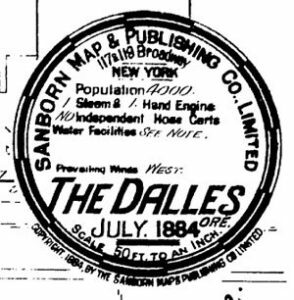 The Sanborn maps themselves are large-scale lithographed street plans at a scale of 50 feet to one inch (1:600) on 21 by 25 inches (53 by 64 cm) sheets of paper. The maps were created in volumes, bound and then updated until the subsequent volume was produced. Larger cities would have multiple volumes. 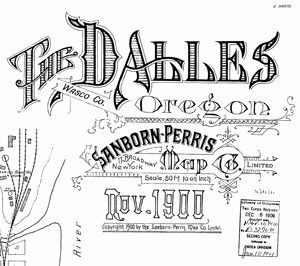 In between volumes, updates (new drawings of new or altered buildings or lots) were created and sent out to be pasted on top of the old maps (referred to as ‘slips’) to reduce expense and preserve accuracy. The volumes contain an enormous amount of information. They are organized as follows: a decorative title page, an index of streets and addresses, a ‘specials’ index with the names of churches, schools, businesses etc., and a master index indicating the entirety of the mapped area and the sheet numbers for each large-scale map (usually depicting four to six blocks) and general information such as population, economy and prevailing wind direction. The maps include outlines of each building and outbuilding, the location of windows and doors, street names, street and sidewalk widths, property boundaries, fire walls, natural features (rivers, canals, etc. ), railroad corridors, building use (sometimes even particular room uses), house and block number, as well as the composition of building materials including the framing, flooring, and roofing materials, the strength of the local fire department, indications of sprinkler systems, locations of fire hydrants, location of water and gas mains and even the names of most public buildings, churches and companies. 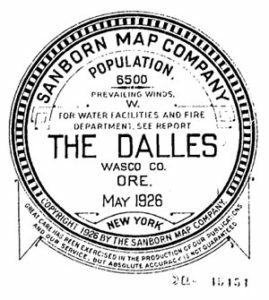 The following are a list of the Sanborn Insurance Maps available for The Dalles, Wasco County, Oregon. To view the PDF documents, left-click on the link. Note the artwork of the stamp contains additional information.